(FSH) (Benin City and Ostend) 1989 - 1995. Photos. Framable Color Prints and Posters. Digital Sharp Images. Aviation Gifts. Slide Shows. 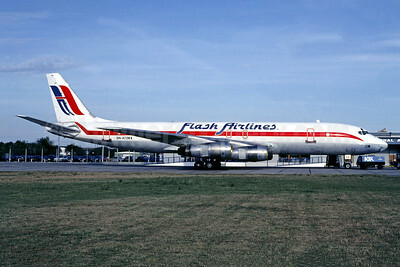 Flash Airlines (Nigeria) McDonnell Douglas DC-8F-55 Jet Trader 5N-ATZ (msn 45965) KIA (Christian Volpati Collection). Image: 941236.